What to do when the last date to pay your kid’s school fee is tomorrow and you don’t have enough cash to pay it? Or when your chemist wants you to immediately pay the pending medical bills? Or when your car suddenly gets damaged and your wallet is nearly empty? Or you want to renovate the house as guests are soon expected to visit your place? There are many instances in life that leaves everyone of us feeling helpless, especially on the financial front. But you don’t need to worry. At such need of an hour, you can easily opt for payday loans. Wondering what type of loans are they? Payday loans, also known as cash advance or quick loans, are short term unsecured loans that are connected with the borrower’s next payday. 1. Payday loans are available for amount that varies between $100 and $1500. 2. These loans are due at the borrower’s next payday. So generally, payday loans are to be paid back within 15-30 days. However, some lenders also provide option to borrowers to repay the debt in easy installments. 3. 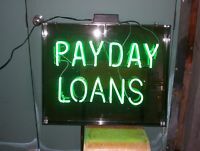 High rate of interest is charged on payday loans. 4. The borrower has to provide the lender a paycheck in advance of the loan amount along with the interest charged. 5. It is easy to apply for payday loans and cash normally gets transferred in the borrower’s account within 24 hours. Meanwhile, there are several requirements that the borrower has to fulfill before applying for payday loans. The borrower must have a stable job and should have been working with the same organization for at least six months now. The borrower must be a citizen of Canada. The borrower must not have been declared a bankrupt in the past. 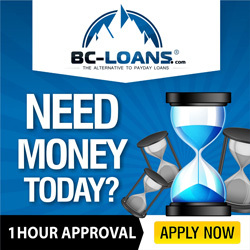 When a person applies for payday loans in Edmonton, he/she is required to provide the lender with bank details so that the loan amount can be deposited in borrower’s bank account electronically. In return, the borrower also has to provide the lender a check including fees and interest that would be charged along with the actual loan amount. So when it is the last date of loan, the lender would deposit the check and the amount will be debited from the borrower’s account. So if you are residing in Edmonton and are in need of a lender who can provide you payday loans, you must conduct a market survey at your own level to choose the most reliable lender. Many companies promise easy loans but there are certain hidden facts that can trigger problem for borrowers in future and so it is essential to know the company before applying for payday loans. If you choose to apply for payday loans over the internet, you will have to log in to the lender’s website and fill in the application form. All the xerox copies listed above would have to be faxed or mailed to the lender along with the contract. Once the required documents reach the lender, they are verified. Following this, the loan amount is transferred to borrower’s bank account. Now, even if you opt for telephonic way to apply for payday loans, it is also very easy. All you will have to do is call your lender and provide all vital information to him. You will also have to send your documents for verification along with the loan request form. After this, you can sit back comfortably and wait for the amount to get credited in your account. Most o the payday loan lenders transfer the amount within a day that is 24 hours. How do payday loans work? Before applying for payday loans, every borrower would wonder how this type of short term unsecured loan actually work. Consider this: If you decide to borrow $200 for 2 weeks, you will have to write a post-dated check in favor of the lender for $230 (this includes borrowed amount of $200 and interest of $30). The lender would agree to hold your check till the loan term is over. On due date, the money lending firm would either deposit the check or the borrower can redeem the check by making payment of $230 in cash. The borrower can also decide to get the loan term extended. For this, the lender would charge additional fee along with interest of $30 for next 15 days. At the end of the loan term, the borrower would have to pay at least $260, which includes the loan amount and interest of $60. The firm may also levy late charges, which would vary from lender to lender. If you have any query related to payday loans or the lender, you can simply call the lender on its customer care number to clarify your doubts. The helpful and knowledgeable customer base would definitely assist you and clear solve your problems, if any. • They are easily available and cash gets credited to the borrower’s account instantly • The procedure is speedy and easy • Personal information of the borrower is confidential • Reduced paperwork as application form can be filled over internet • The transactions are safe and secure • The document verification process doesn’t take a long time to complete • Payday loans’ due date can be extended due to unavoidable reasons One can also see many advertisements of money lending companies flashing on television, radio and newspapers that promise to provide payday loans in just about half an hour or so but one should not fall prey to such advertisements, rather conduct a research and find the most appropriate lender. A borrower must know that just as easy and simple it is to avail payday loans, they are even dangerous and risky. In many cases, people fail to repay the debt and it becomes a vicious circle wherein they keep on renewing the loan and the repay amount keeps on increasing every day. The company also levy additional charges on the debt due to which it becomes difficult for borrowers to repay the debt. So it is very essential to take a wise decision and keep in mind all aspects of payday loans before one applies for it. Like every coin have two sides, so do payday loans. Knowing these drawbacks, are you of an opinion that one should not apply for payday loans? But how can one fulfill all the financial obligations, especially when an individual is in urgent need of cash? There are certain alternative options that one can go for. 1. Approach a credit union: You can decide to take financial help from a credit union, which is a non-profit organization. Credit unions also offer loans to their members. So if you are a member of a credit union, make sure you apply for loans with them instead of applying for payday loans. 2. Bank overdraft: You can ask your bank to provide you a small bank overdraft limit so that you can fulfill some of the urgent requirements. The bank would then charge interest on the amount but the rate of interest is not so high. 3. Borrow money from your employer: If you have good terms with your employer, you can ask the latter to lend you some money. The benefit of this is that the amount would not be a debt but your own money, which your employer can deduct from next month’s paycheck. 4. Ask your friend or relative to lend money: If your employer refuses to provide advance, you can ask your fats friend or any relative to lend you money. However, you will have to be really careful while exercising this option as you would have to pay back the amount to your friend or relative as soon as possible so that the relations don’t suffer. 5. Online consultation: If you feel that you are unable to spend within your budget, you must opt for a consultation session so that you don’t end up facing financial crises every month. The experts would help you forming a budget and working according to it. They provide best solutions and assist in such situations. 6. Small bank loans: These are a great alternative to payday loans. Lately many banks have started providing small loans to individuals and they even don’t charge a high rate of interest. So you can choose it when you face a financial emergency. So when you decide to apply for payday loans, make sure you also explore other options beforehand. But if you feel that payday loans is the only solution to your financial problems, apply for them just while sitting at your home and make sure you repay the loan amount positively on due date. Keeping in view the advantages as well as shortcomings of payday loans, an individual must carefully apply for these quick or fast loans. It must also be kept in mind that the borrower uses the loan amount for genuine purposes like unexpected car repair, paying pending medical expenses, paying children’s school fees, paying EMIs or using the debt for home renovation purposes. Payday loans must never be taken for not-so-important purposes as they can lead to grave consequences that the borrower would have to face. So it is crucial to make the right decision and then apply for payday loans. Conduct a research in the market and consider all options while finally submitting the application for payday loans.